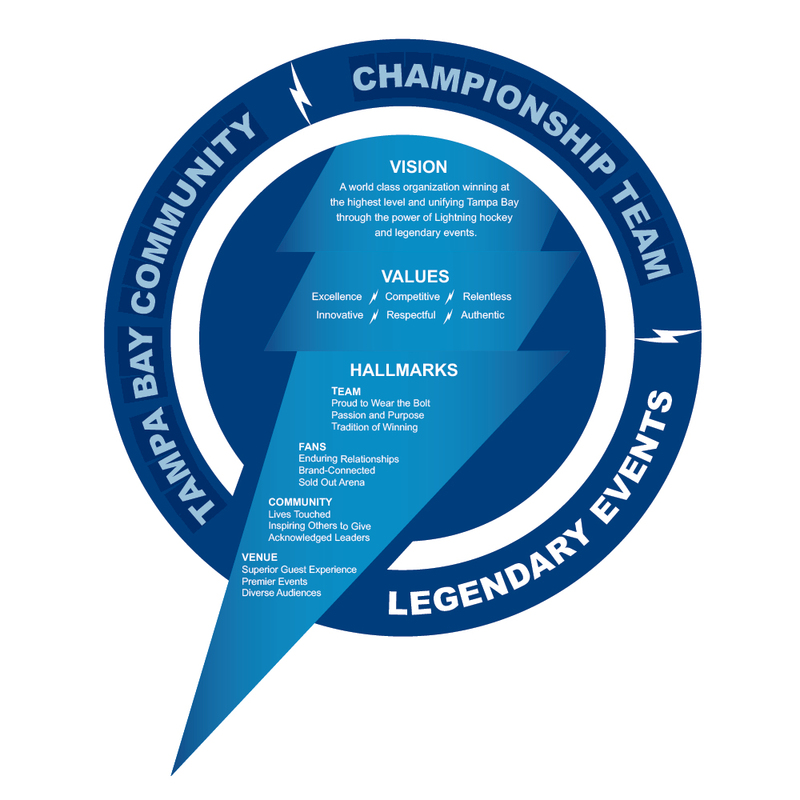 Vision of the Tampa Bay Lightning: A world class organization winning at the highest level and unifying Tampa Bay through the power of Lightning hockey and legendary events. Players Vincent Lecavalier, Martin St. Louis and Steven Stamkos were joined by founder Phil Esposito and former captain Dave Andreychuk, proudly displaying the new logo and jerseys. 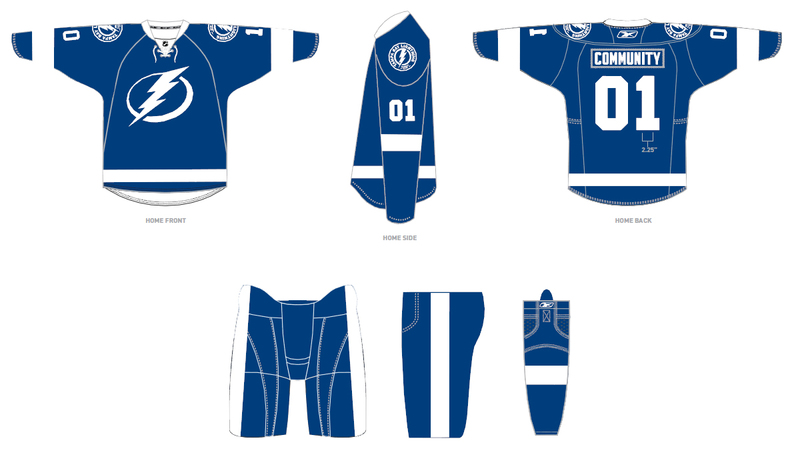 The team will continue wearing the current logo and jerseys through the end of the 2010-11 season, although the new logo will begin to have a presence immediately in and around the St. Pete Times Forum. 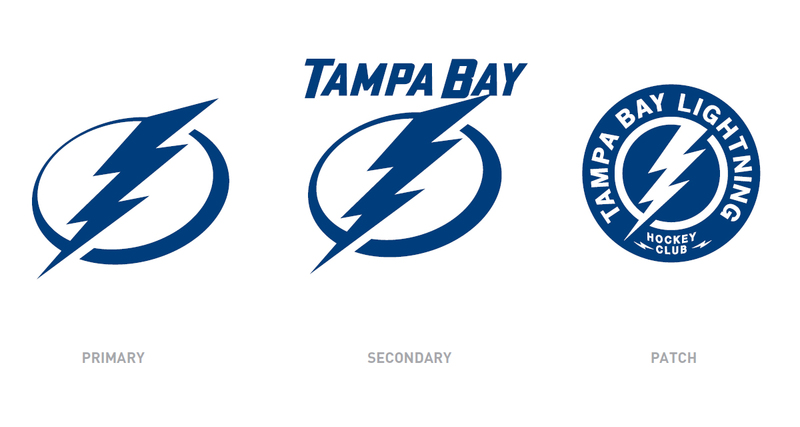 For the first time in NHL history, an organization is being permitted to phase-in a new logo during the season, symbolic of the Lightning franchise’s dynamic transformation. The vision for the franchise includes a team inspired by championship values; an organization committed to Tampa Bay, giving back through leadership, mentoring and charitable contributions; a state-of-the-art venue; and the recognition that our greatest assets are our fans. The Lightning worked with SME, a strategic brand development firm servicing the sports and entertainment industries, to create the new logo. 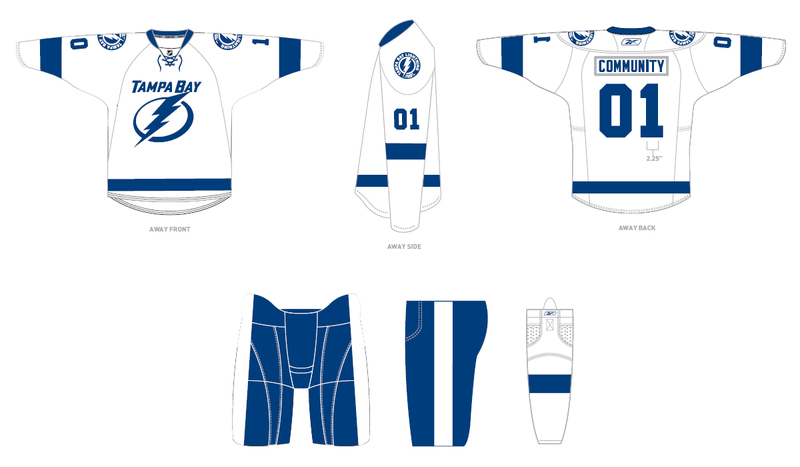 “Bold”, “classic”, “iconic” and “hockey-centric” were the words that inspired the new designs. The previous circular logo shape was evolved into a contemporary oval shape to better represent the speed and power of NHL hockey competition as well as the upward direction of the club. One color, Tampa Bay Blue, was retained to honor the past and represent leadership’s commitment to the area. In order to create a more uplifting overall presentation – bright, wide white stripes replace the silver and black, providing a brighter presentation of the Tampa Bay brand. Today’s announcement marks the first in a series scheduled by the team detailing the brand and business transformation. On Friday, February 4, all fans in attendance at the St. Pete Times Forum for the team’s game against the Washington Capitals will receive a complimentary t-shirt featuring the franchise’s new logo.